The concept of compounding reinforcing elements and a matrix material to form a directionally reinforced composite material has become widely accepted in materials engineering. As an example we mention fiber-reinforced composites which are now used increasingly in technological applications. 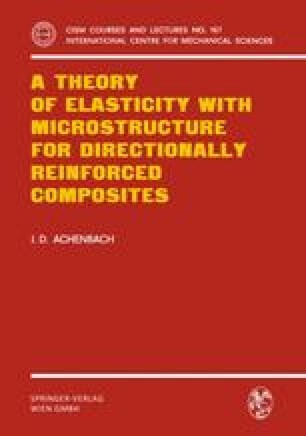 The formulation of an adequate theory to describe the mechanical behavior of directionally reinforced composites., especially for dynamic loading conditions, poses an interesting challenge to workers in the field of continuum mechanics.